With six super-bright LEDs, the HammerHead is an incredibly bright compact light. 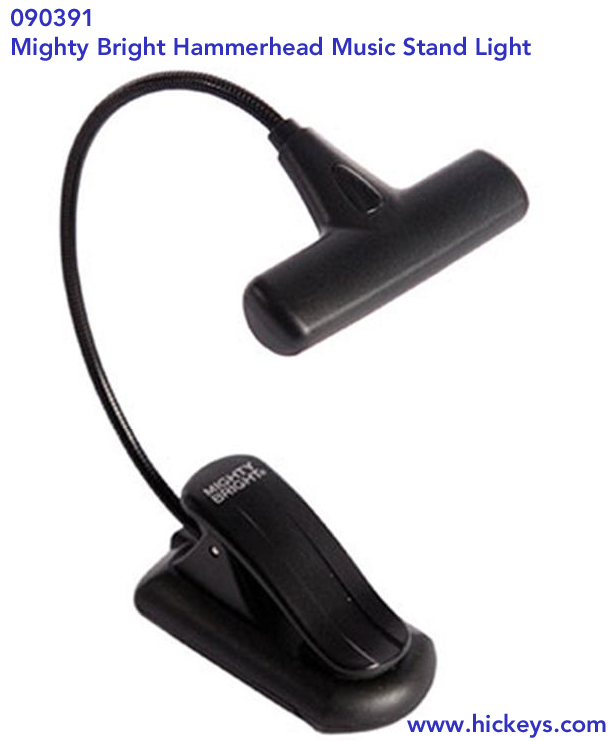 Its flexible gooseneck can wrap tightly, so be sure to bring this light wherever you go! Whether you're DJing, playing, or singing, the HammerHead makes every performance perfect. 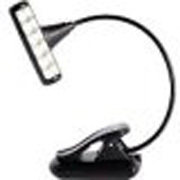 Features include: 6 bright white energy-efficient LEDs, Two brightness levels, Durable LEDs last 100,000 hours, Precisely engineered lens spreads light evenly, Flexible gooseneck, Clip opens extra-wide, AAA batteries (included), Durable gig bag (included).